The last couple of weeks we have focused on new gold sellers in an attempt to make them more comfortable with the entire process. We had a lot of advice and told them to be firm and sure of themselves before they made any sales. In the end though, when you go to sell gold NYC you should feel comfortable and confident in the services being provided. This is not the Wild West. 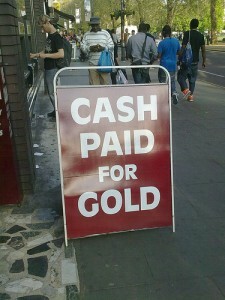 Buying and selling gold in NYC is a completely above board service these days. There are industry standards and protections there to make sure you are not participating in any sort of shady business. 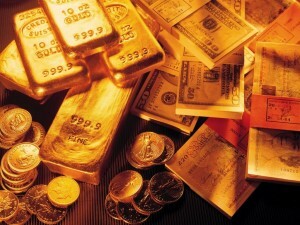 These protections have been put in because buying and selling gold is now a vitally important industry. Managing the gold markets as they ebb and flow has become almost as significant an indicator economically as minding the stock market. These are important barometers of our relative economic successes and failures. On a practical level though, the important thing is that selling gold in New York is easy to understand and safe from the sort of bullying and grifting that a lot of other selling of personal goods can fall into. It's a safe and easy way to cash in! Last week we spent some time giving advice to first timers selling gold NYC. We wanted to make sure that folks did their research and ended up at an accredited and professional place that served your needs and put you at ease. Of course those same first timers likely are not exactly sure what to expect when they attempt to sell their gold. This week I've decided to let you in on some things anyone utilizing the services of NYC gold buyers should expect. First and foremost, you should expect private one on one service with a courteous professional. You are selling valuables which may or may not have some special significance to you; the least anyone can do is give you focused, individualized attention. To this end a professional establishment should ask you for a valid I.D. If they are not asking you should not be utilizing their services. The process for going through your items should be handled carefully. Each item should be looked over and weighed individually. Throughout this process it is important you remember that just because they are working with you does not obligate you to sell to this particular buyer. Next week we'll have some more advice for first timers selling gold NYC. Once you have made the decision to go through your jewelry drawer or your coin collection and sell gold in New York,there are some easy ways to ensure you are getting the best possible options in your area. For one thing use your chosen search engine to look up information on a wide array of gold buyers in and outside of your area. Reading user reviews from folks who have walked this road before will help give you a sense of who you can and can't trust. Do not go with the first option you find either. Once you have made a short list of NYC gold buyers, start making some phone calls. On the phone you can begin to get an idea of what sort of staff each of these businesses have. It is the kind of footwork you should probably be doing in most business transactions but especially in something as tumultuous as the gold market. Getting to speak to members of the staff from a few different places will help you get a sense of how pushy or friendly each staff is going to be. Finding a gold buyer you can trust, with positive feedback from their previous customers will make the whole experience better. As always attempting to predict where the gold market is going leads to surprises and miscalculations. This week there has been a new surge in gold prices on the back of new unease for the dollar. As a result gold prices are now hitting their highest price in three weeks. Of course that small window suggests that movement in the gold market is likely to continue to fluctuate somewhat wildly for the period. That said anyone interested in selling gold NYC will do well to get their stuff together and sell this week. However if you are still trying to not rush and hoping for a bit more in the market you might be safe to sit on your investment for the next week or so. As always those who hope to sell gold NYC are always taking a risk of selling too low or waiting too long and eventually having to sell when prices are dropping. In a way that is the fun of these investments. Minding the market is one of the more engaging ways to handle personal finance. It adds an element of game play to the world of investment and encourages and informs of risk. That's right? The gold market can be fun! [title] => Sell Gold Today! If you were looking to sell gold in NYC there may be no better time than right now. Chances are you have been sitting on that stock of unworn jewelry or that coin collection you just did not know what to do with hoping that the booming gold market of early 2011 would rebound. Things do not seem to be pointing that way at the moment however. This of course is not a given, surprising booms have happened in the gold market before and will surely occur again but the immediate future looks to have a lower price. That said selling gold NYC is still a great way to get cash now and begin covering some of those splurges on gifts and parties that the holidays in December always necessitate. Covering costs sooner rather than later can avoid interest payments that your credit lenders will begin to charge on all of those purchases as the months begin to pass. As the dollar gets stronger demand for gold goes down but luckily it never goes away. Instead you simply fall back into a place where selling gold can net you a solid pay day to help you deal with your financial needs. 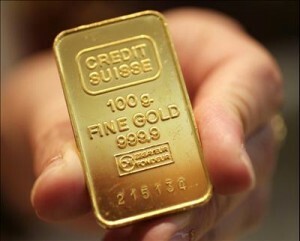 In spite of a recent dip in the market for buying and selling gold in NYC and around the world, collectible coin dealers are optimistically expecting gold and silver to go up in 2012. Over the last year there has been a widely disseminated boost in gold prices continuing on from the shaky markets in 2008, which drove the price of gold upward for quite a few years. Recently the new shakiness in Europe has actually done some damage to the gold and silver markets but with that situation expected to somewhat stabilize during the next few months experts in these markets with decades of experience are once again signalling that 2012 will be a great year for gold markets. For those of us considering the pros and cons that might lead someone to sell gold jewelry in NYC this is a welcome relief from the last few weeks of dips in prices. Of course, as sound as these predictions may seem it is important to keep an eye on the day to day developments in all important financial indicators. From stocks and national debt to political unrest and unemployment. 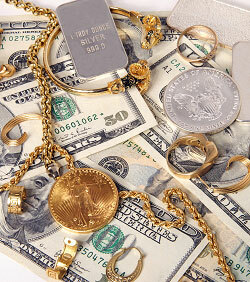 Each of these factor in heavily as the prices of gold, silver and other precious metals are weighed. Last week we spent some time giving advice to first timers selling gold NYC. We wanted to make sure that folks did their research and ended up at an accredited and professional place that served your needs and put you at ease. Of course those same first timers likely are not exactly sure what to expect when they attempt to sell their gold. This week I've decided to let you in on some things anyone utilizing the services of NYC gold buyers should expect. 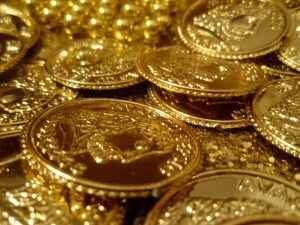 In spite of a recent dip in the market for buying and selling gold in NYC and around the world, collectible coin dealers are optimistically expecting gold and silver to go up in 2012. Over the last year there has been a widely disseminated boost in gold prices continuing on from the shaky markets in 2008, which drove the price of gold upward for quite a few years. Recently the new shakiness in Europe has actually done some damage to the gold and silver markets but with that situation expected to somewhat stabilize during the next few months experts in these markets with decades of experience are once again signalling that 2012 will be a great year for gold markets.